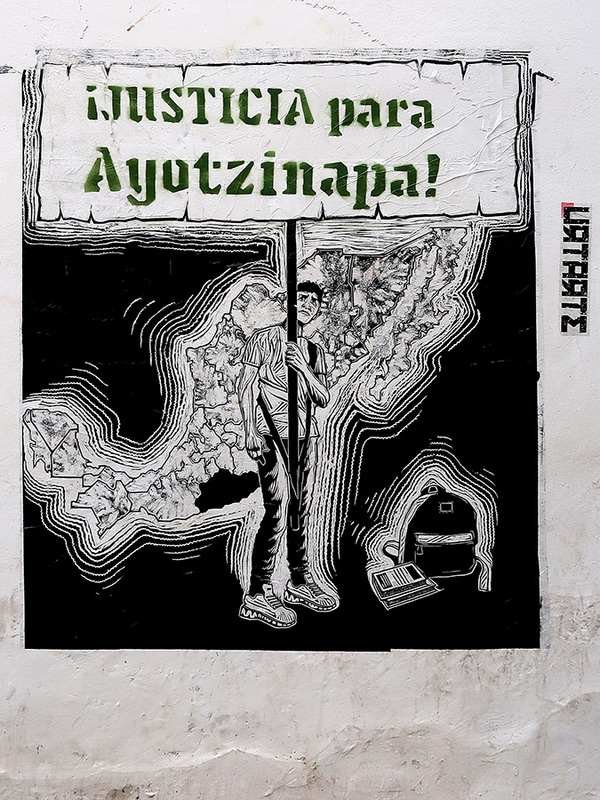 A beautiful photo montage and song by Arturo Leyva honoring the 43 students of the Escuela Normal Rural Raúl Isidro Burgos, teachers’ college in Ayotzinapa, Guerrero. 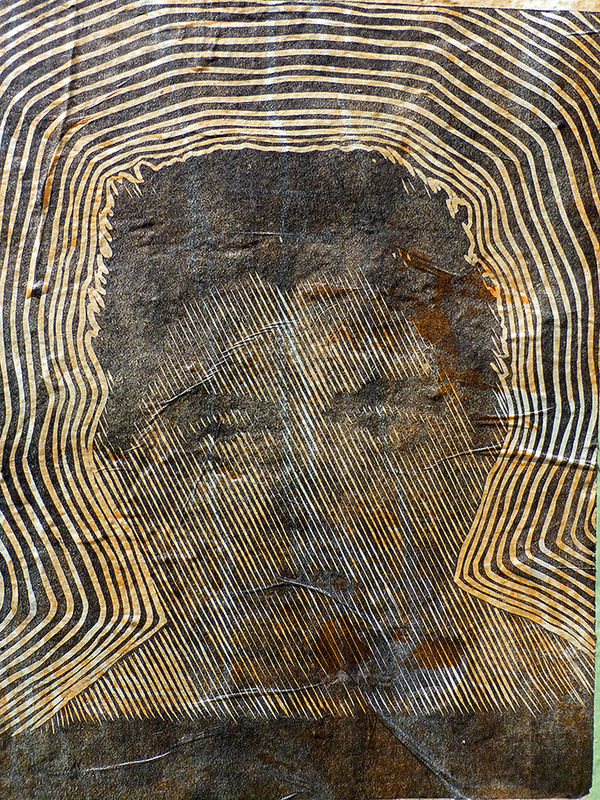 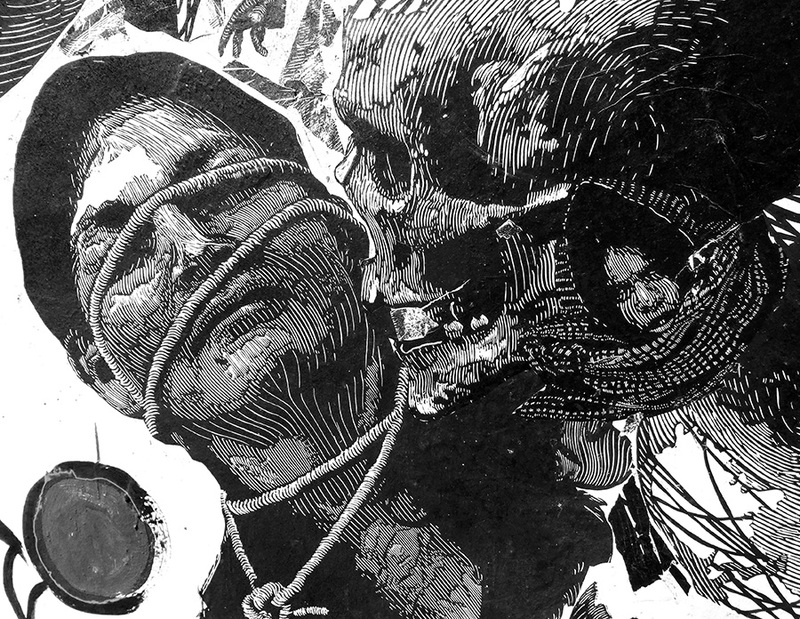 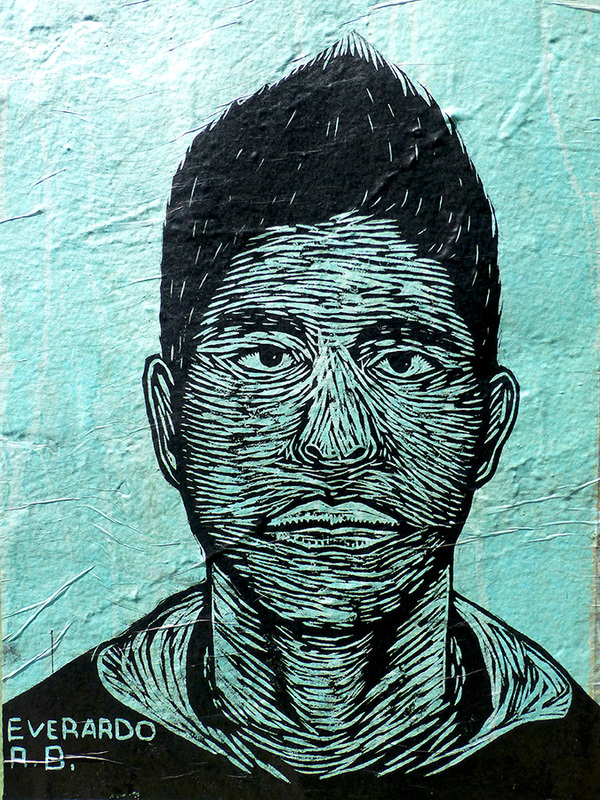 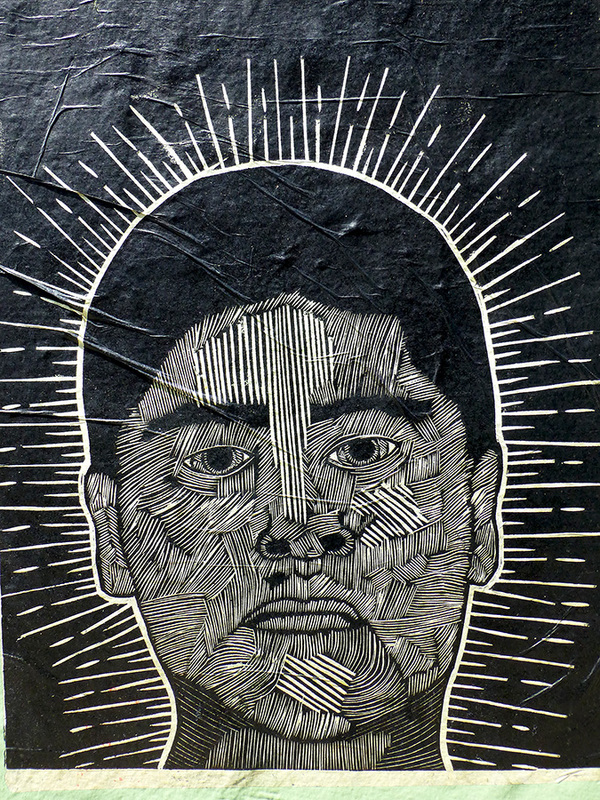 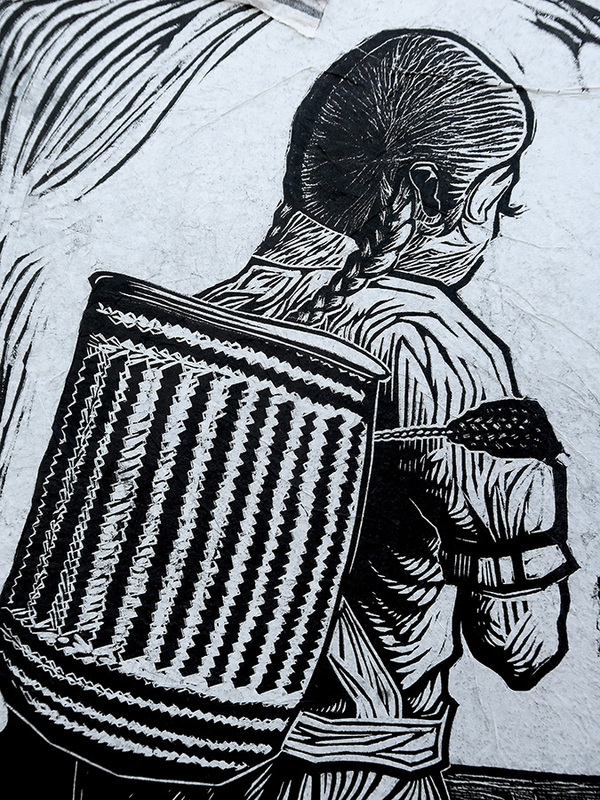 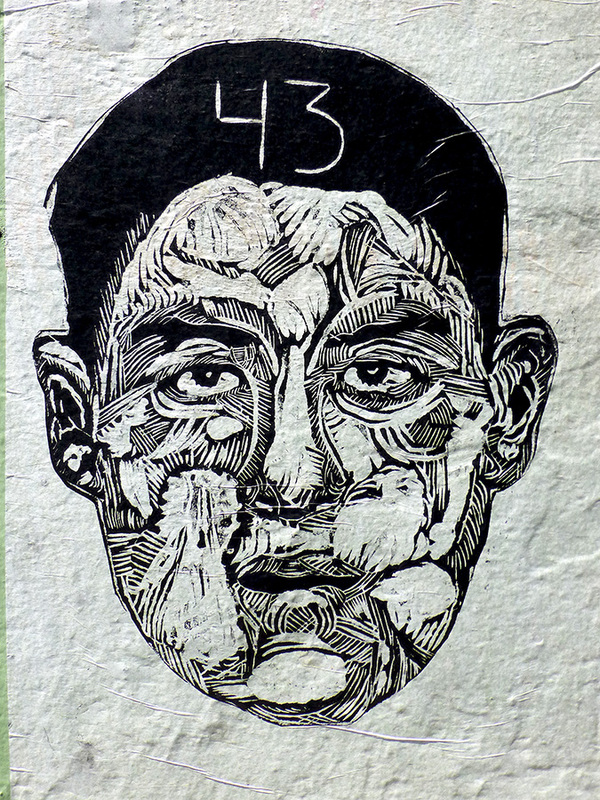 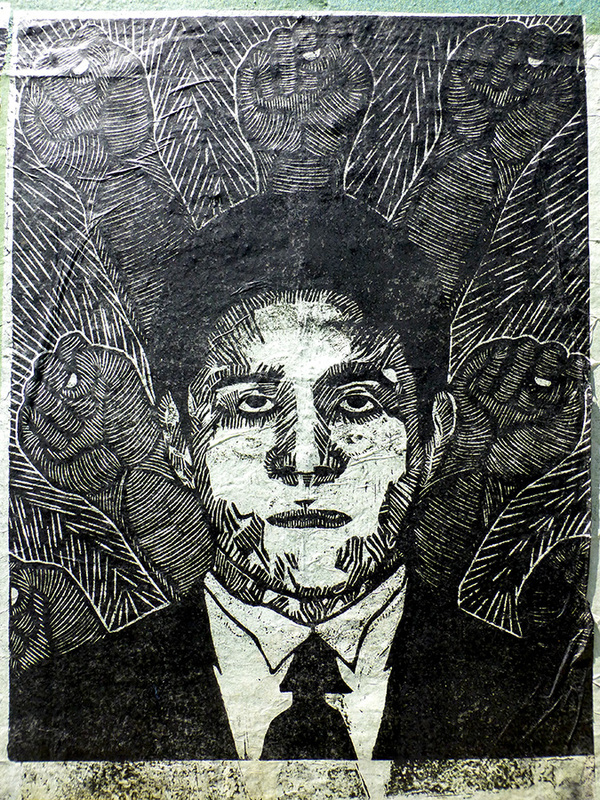 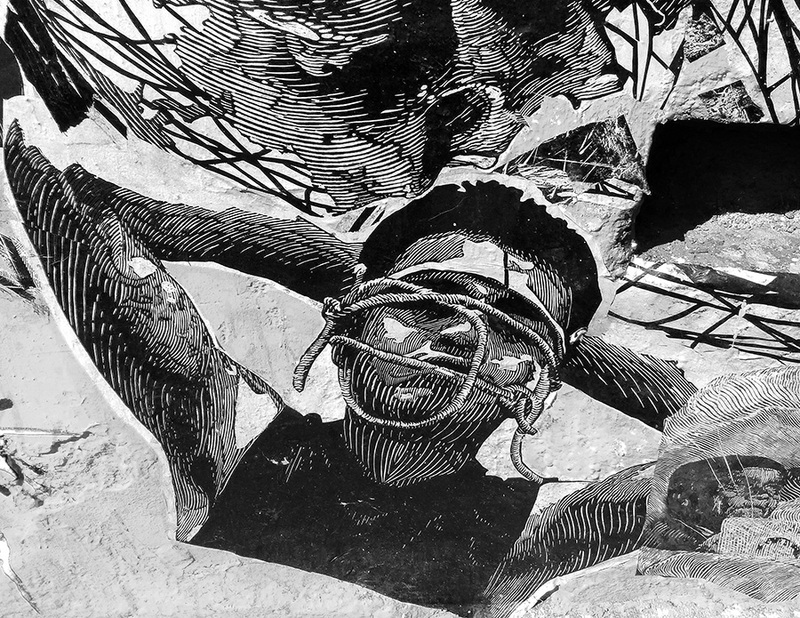 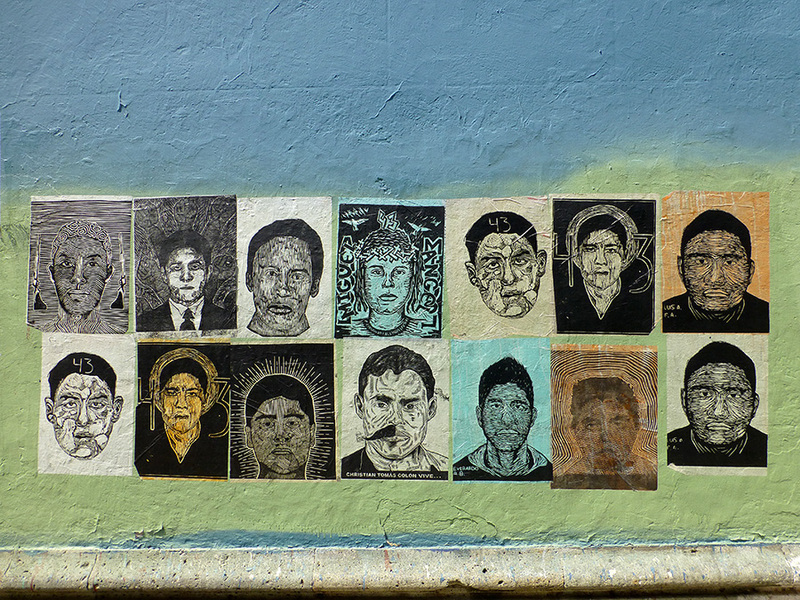 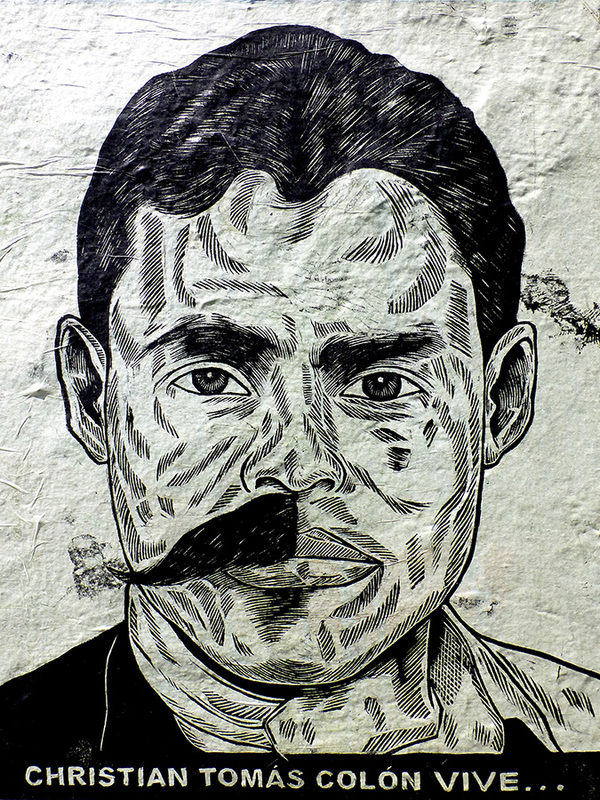 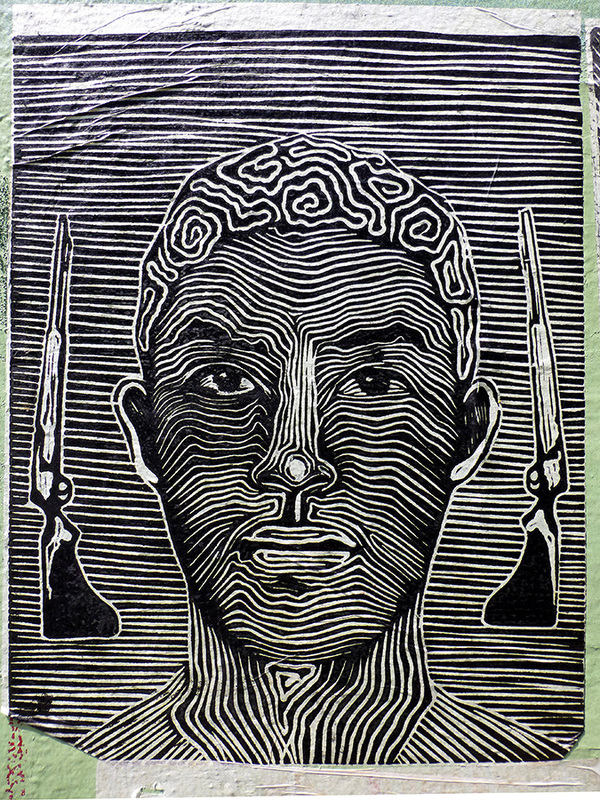 The video uses some of the #IlustradoresConAyotzinapa illustrations, paintings, and embroidery by Mexican designers, artists, and artisans of the faces of the 43 student teachers of Ayotzinapa. 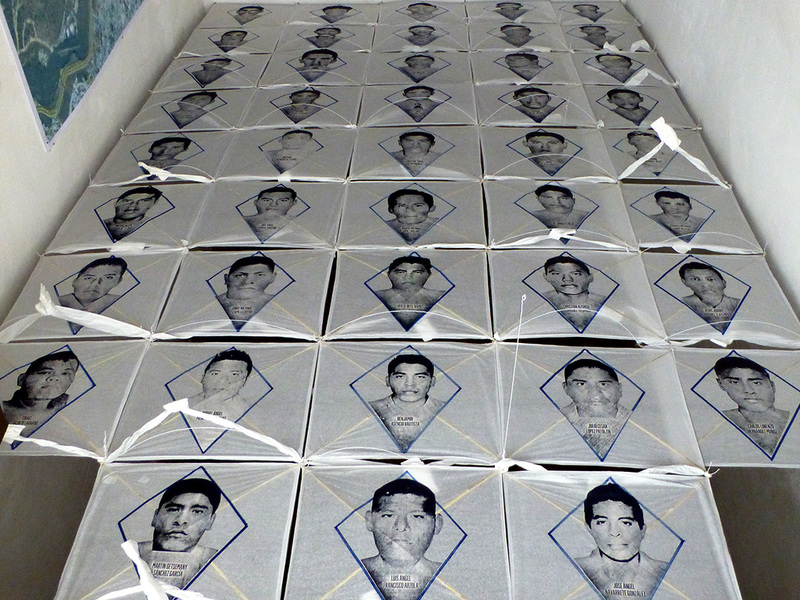 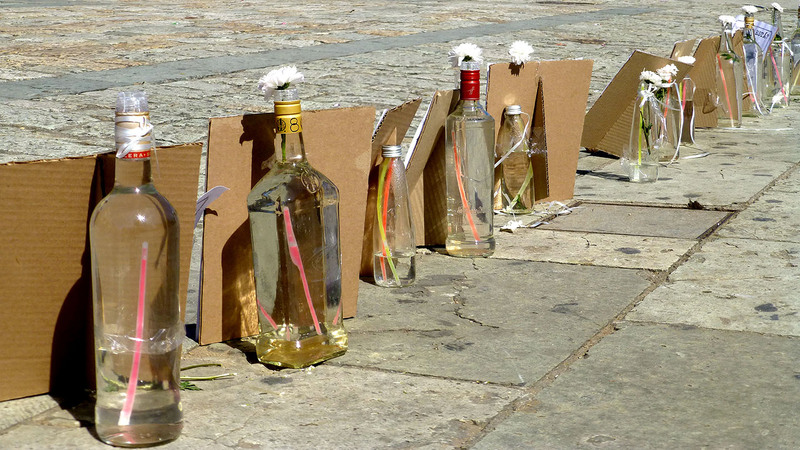 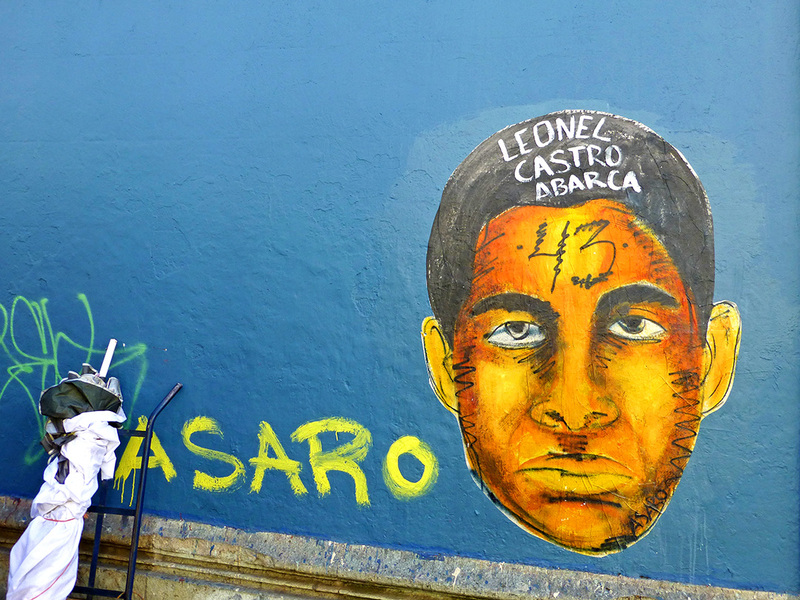 In addition, journalist París Martínez has developed profiles of the 43 disappeared students by talking with their families and friends. 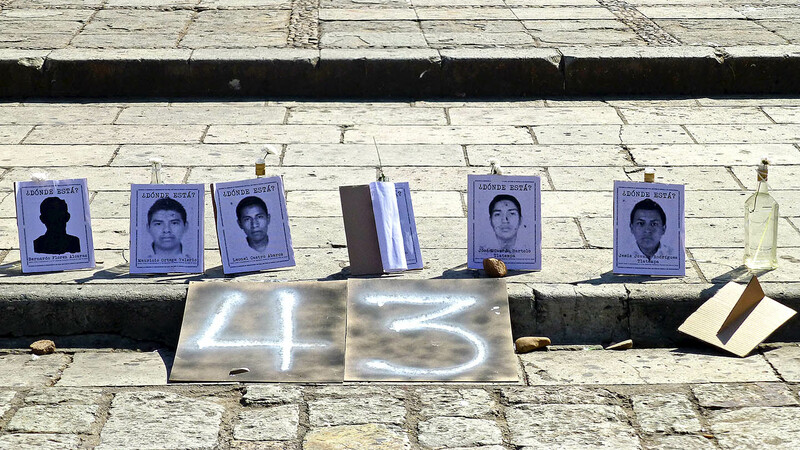 Tomorrow, it will be 43 days since the 43 students at the Escuela Normal Rural Raúl Isidro Burgos, teachers’ college in Ayotzinapa, Guerrero went missing. 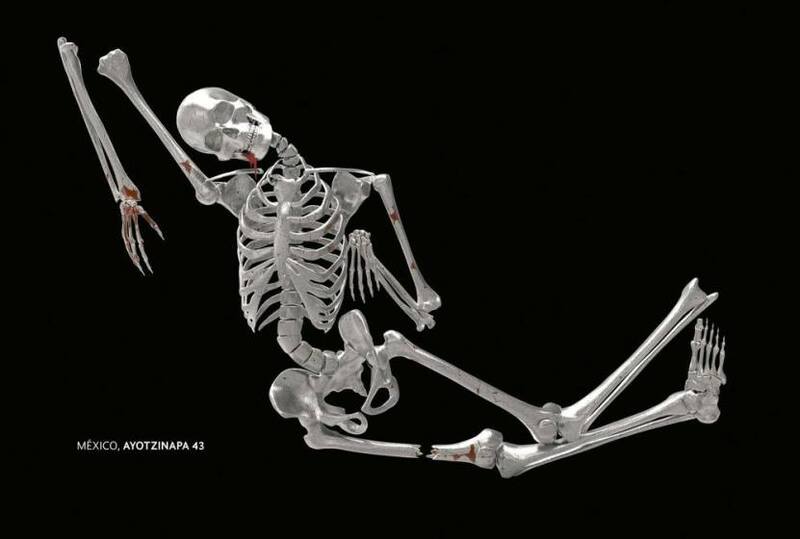 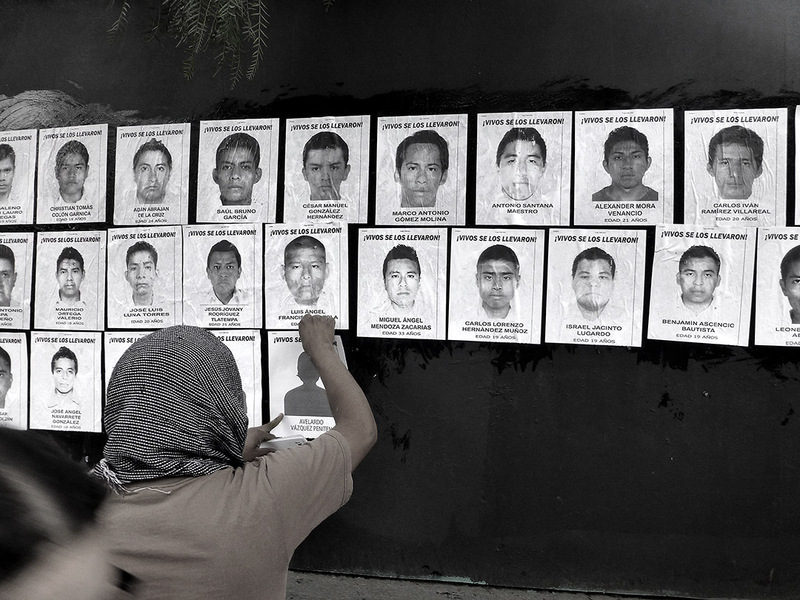 Images of the missing are being posted online and on walls. 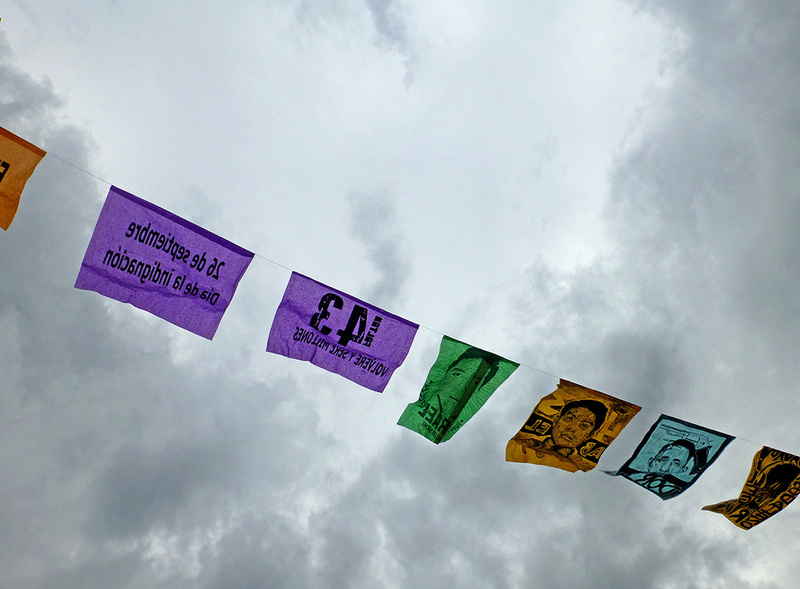 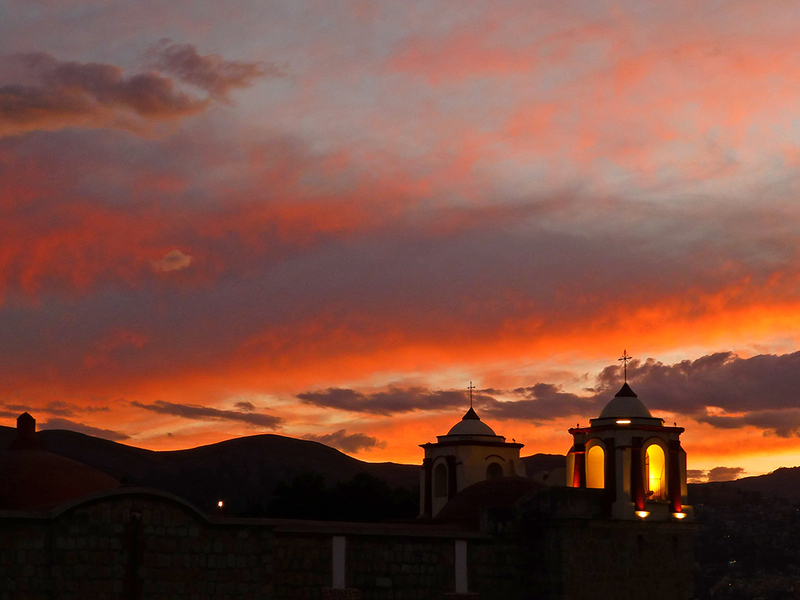 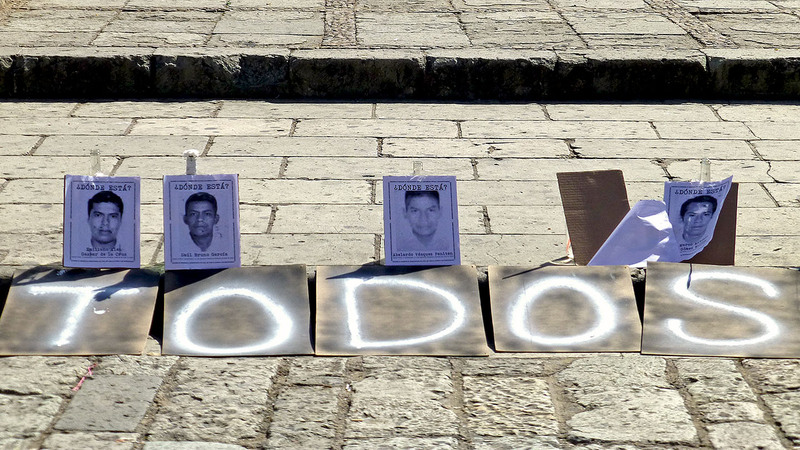 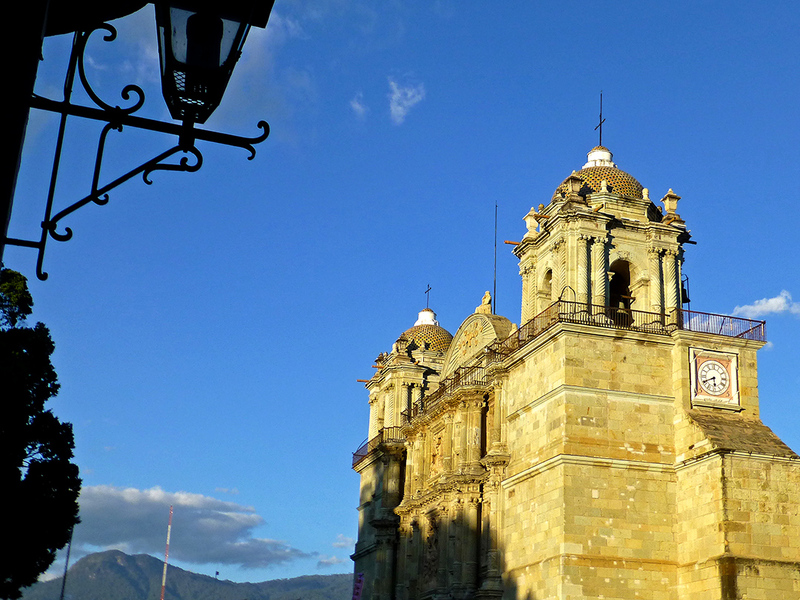 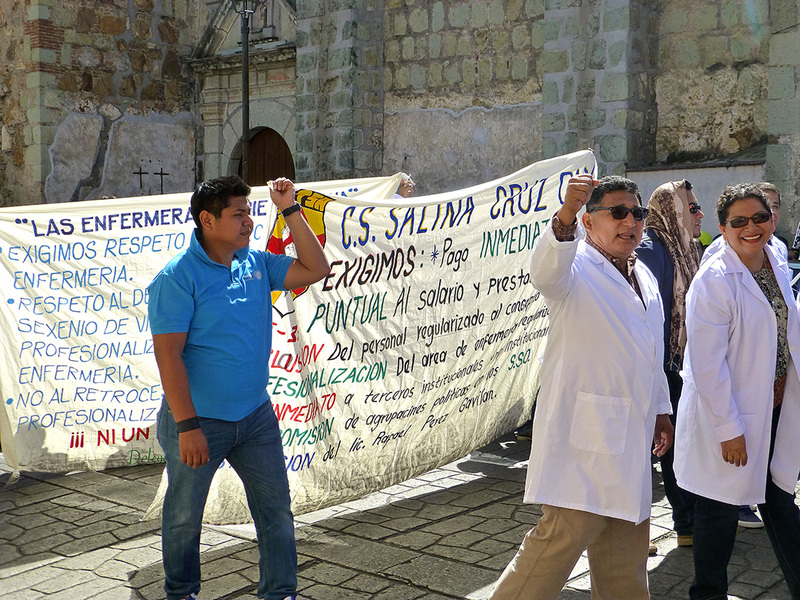 Oaxaca, along with the rest of Mexico, is heartbroken and outraged that her sons have not been found. 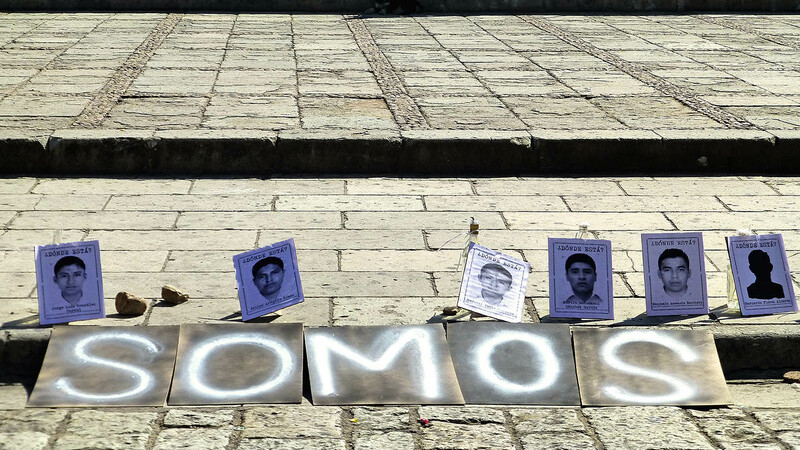 “We are not sheep to be killed whenever they feel like it” Emiliano Navarrete, father of one of the missing students, declared following a meeting with Mexico’s president, Enrique Peña Nieto. 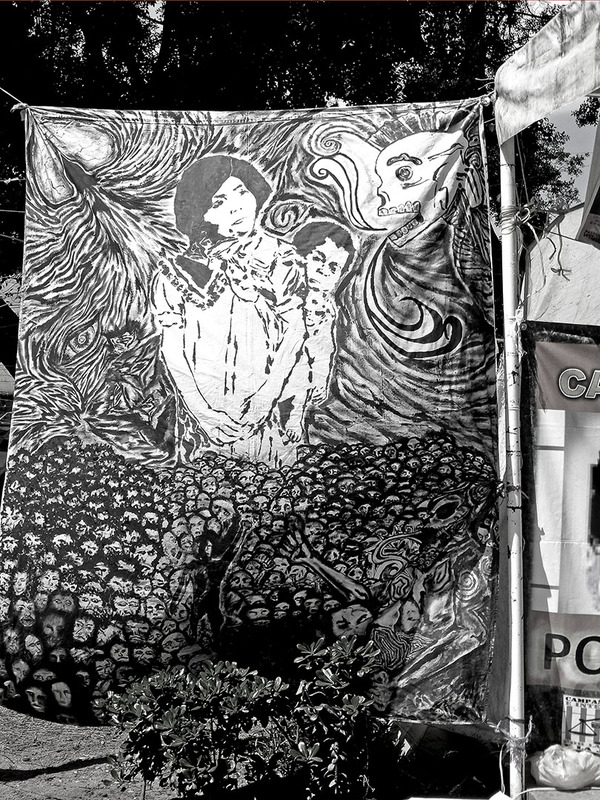 As the brilliant Día de los Muertos colors of cempasúchil (marigolds), cresta de gallo (celosia or cockscomb), and roses began to fade, a massive march, led by the parents of the missing, filled the streets of Mexico City on November 5. 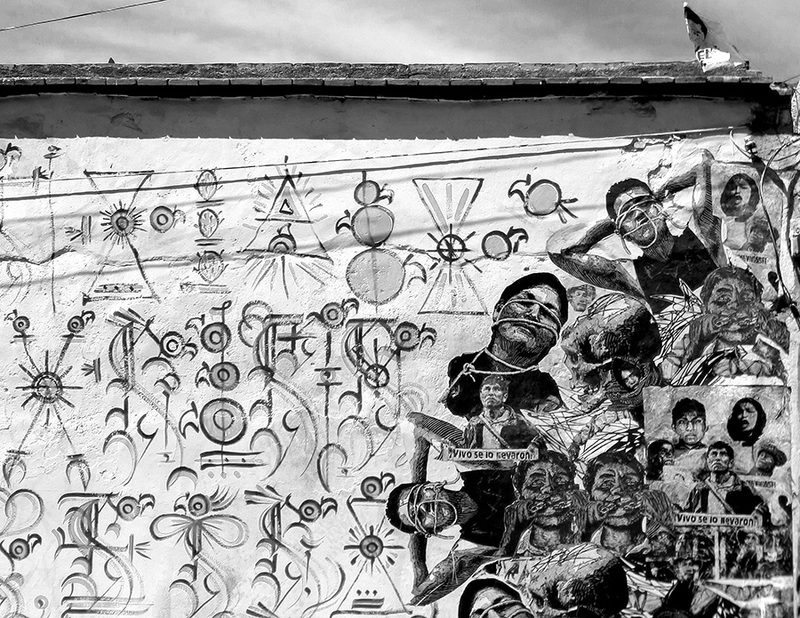 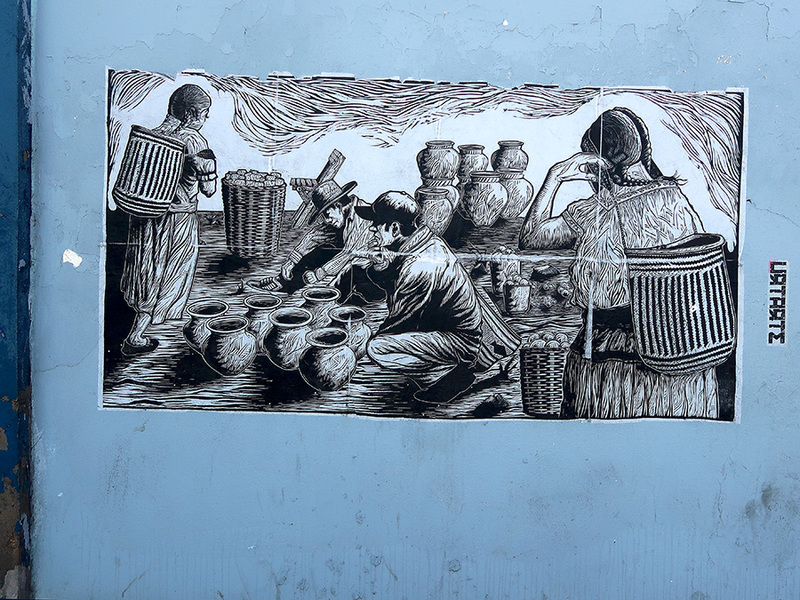 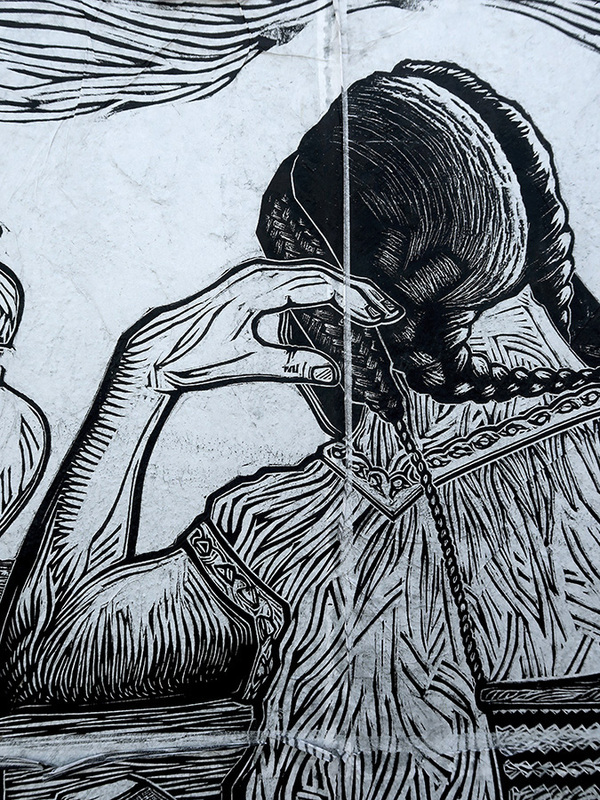 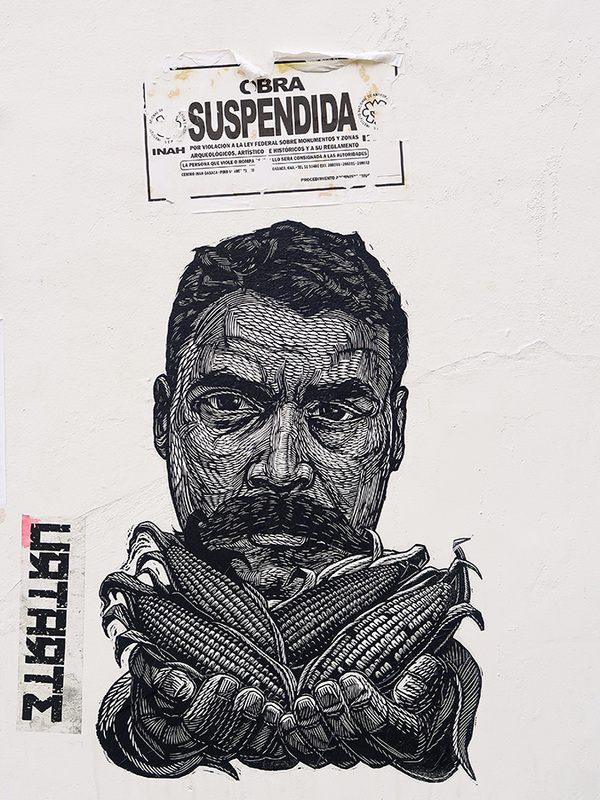 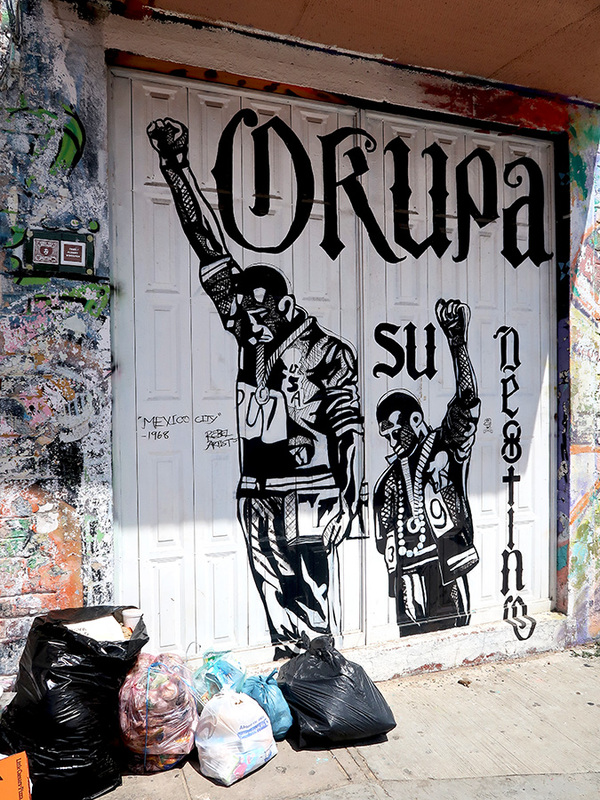 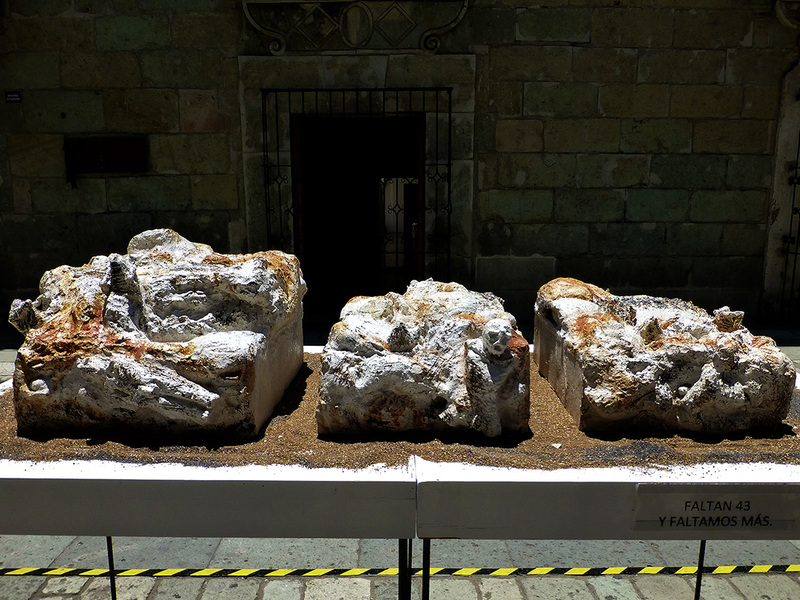 And, Oaxaca continues to add her voice on walls, in the streets, and at the Museo de Arte Contemporáneo de Oaxaca (MACO). 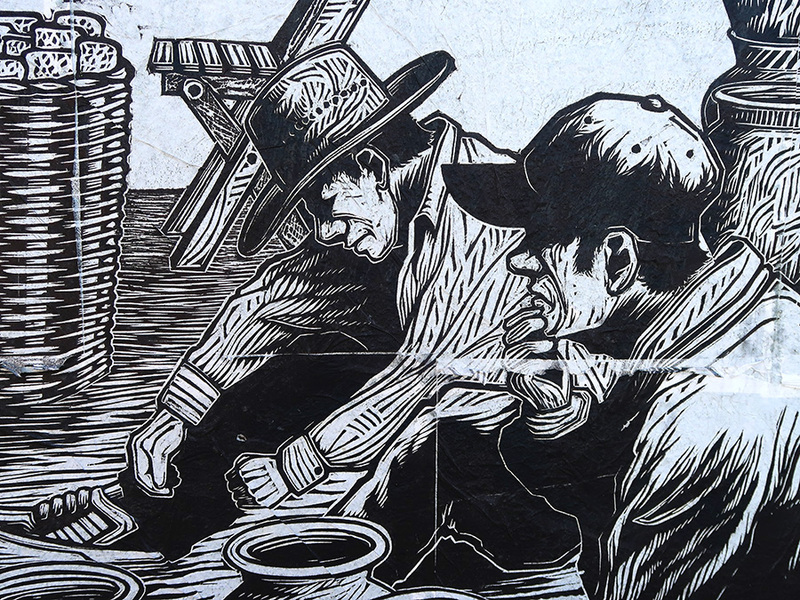 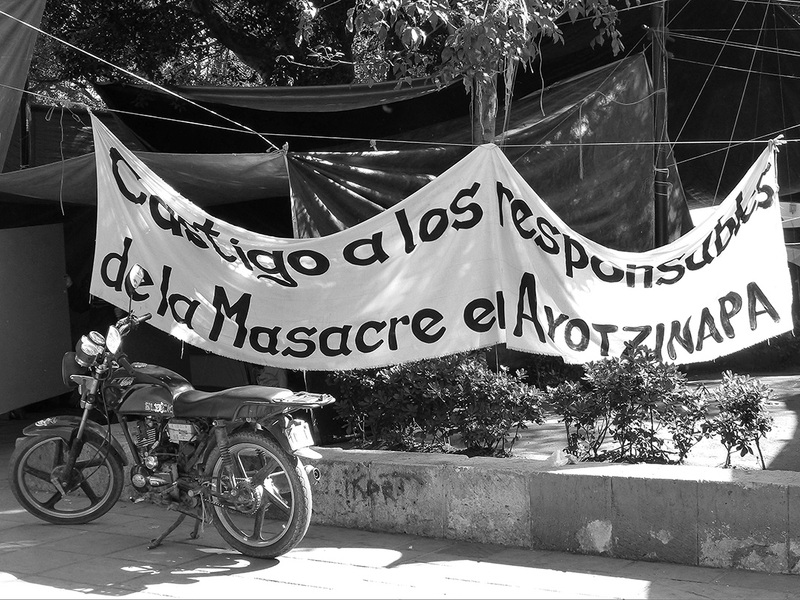 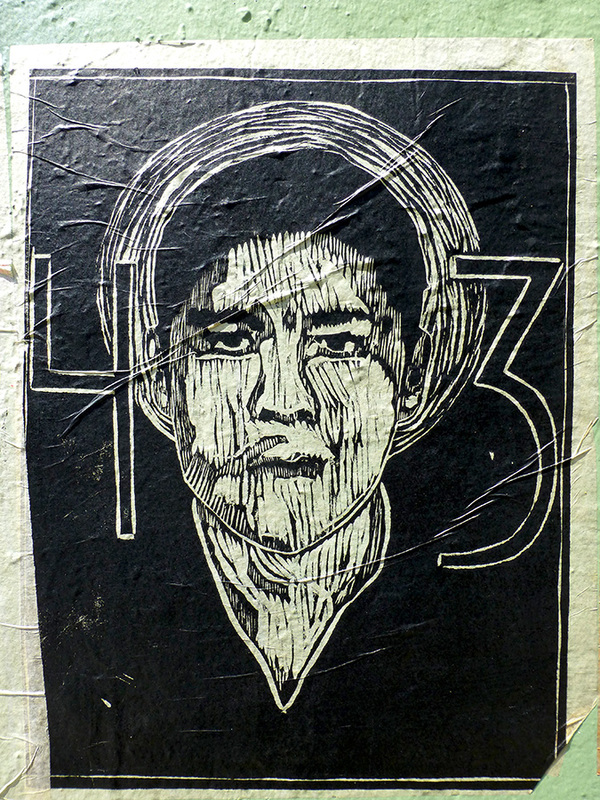 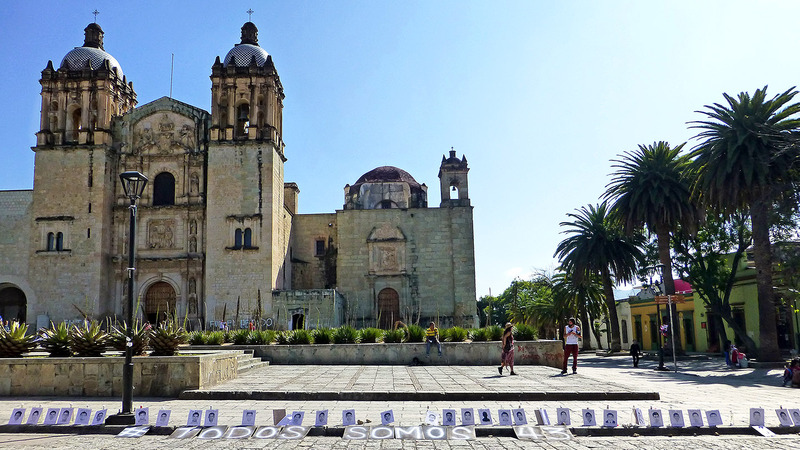 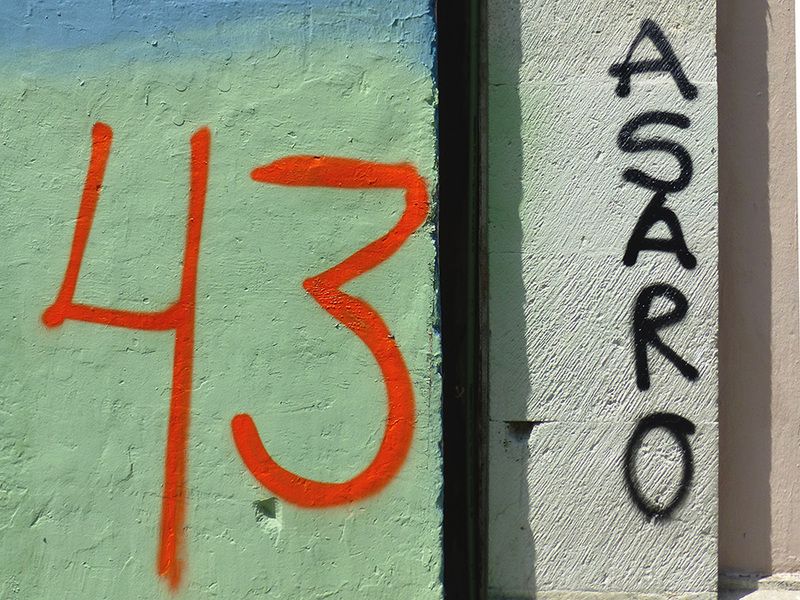 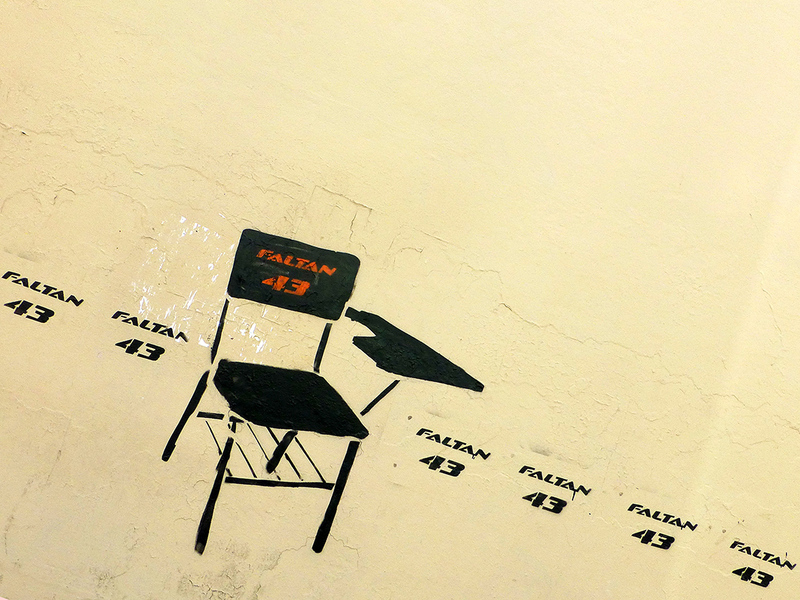 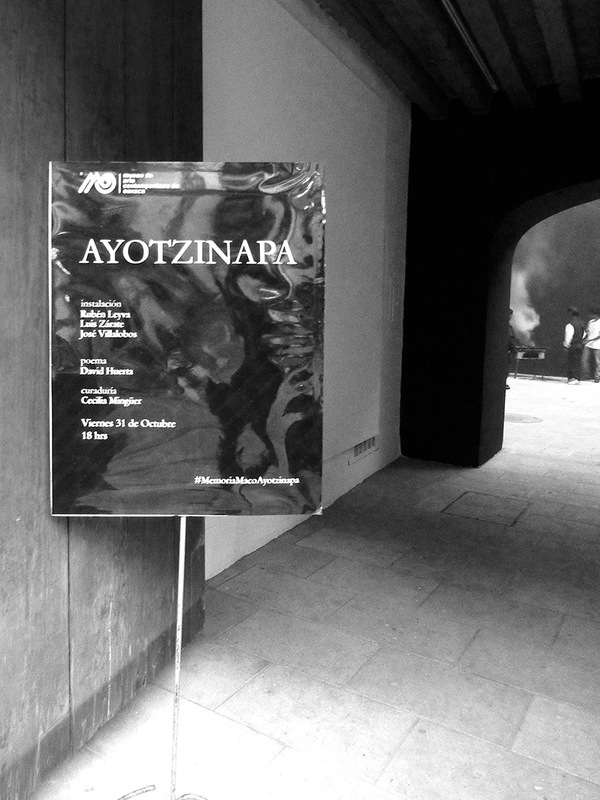 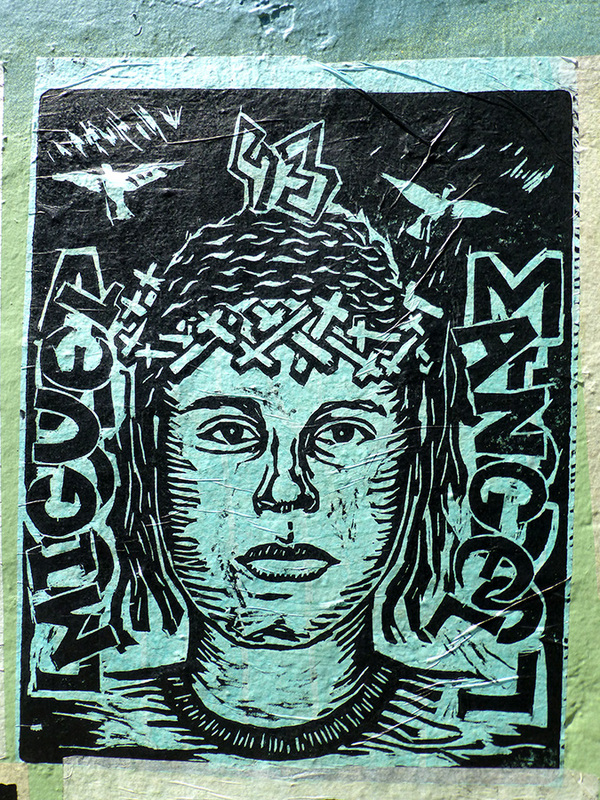 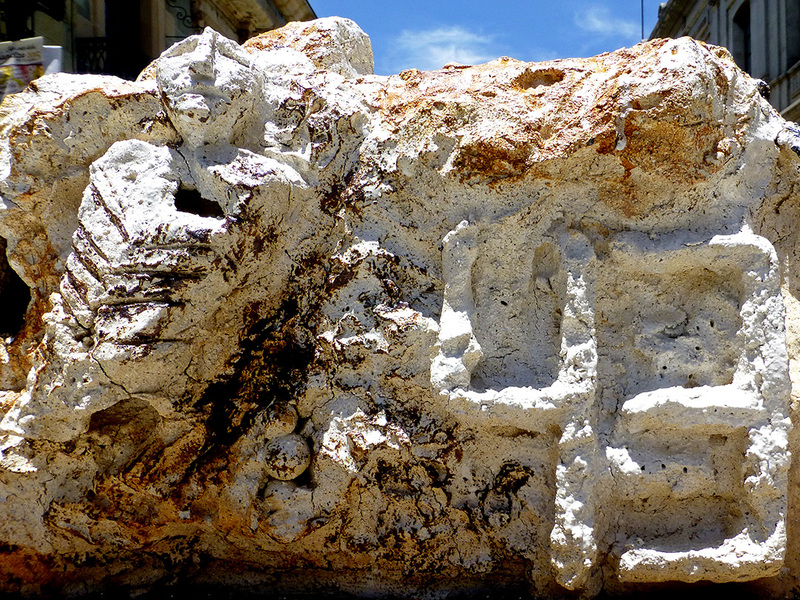 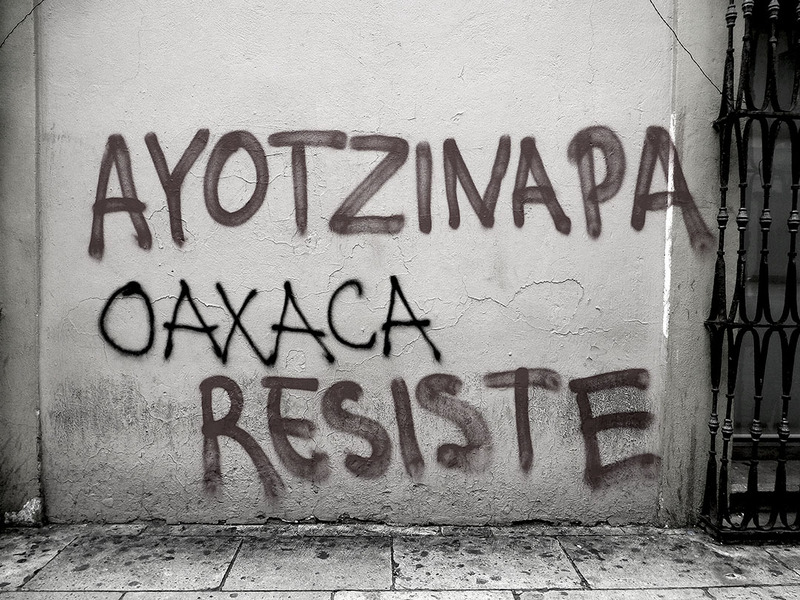 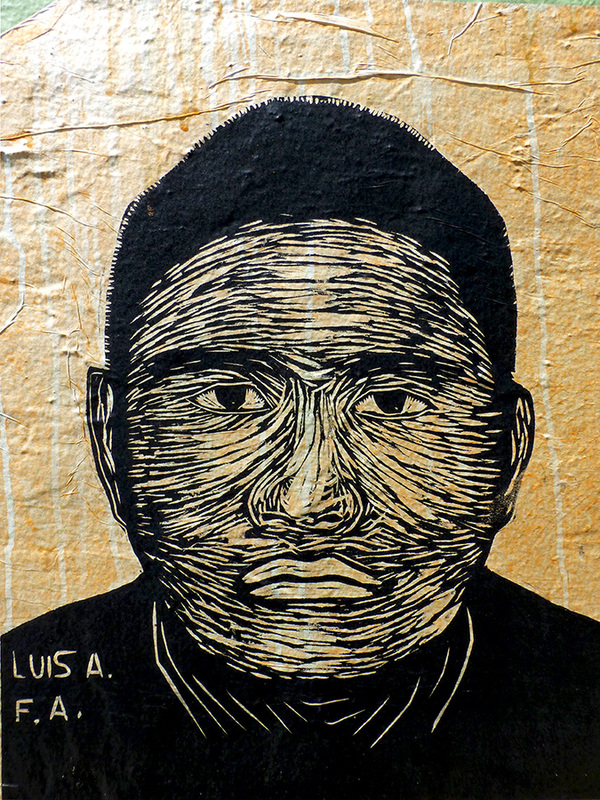 … where a beautiful poem, simply entitled “Ayotzinapa,” fills one of the walls of the courtyard.